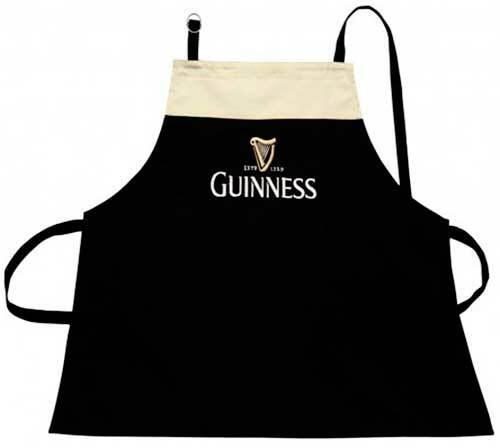 The Guinness apron is great for the bar along with the kitchen and grill. This Irish apron features Guinness branding along with the classic black and cream colors. The heavy weight Guinness apron 100% cotton. This Irish kitchen accessory is just one of the many Guinness gifts that are available at The Irish Gift House.